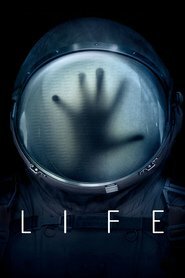 A solid thriller that is clearly influenced by Ridley Scott’s Alien movie. It’s occasionally a touch cheesy but, overall, is a fast-paced, thrilling, well-acted space sci-fi set in the present day. The characters are all different and the alien makes a welcome change to some we’ve seen already - it’s a nasty little critter that isn’t evil — just trying to survive. So, if you are after a bit of tension, check it out on the biggest screen you can find!